You’ve probably watched the advertisements. The ones advertising PSAPs, or personal sound amplification products, assuring an improvement to hearing for as little as 20 dollars. It seems like a terrific bargain—especially when compared to the substantial selling price of a hearing aid. In reality, it’s not so much a good deal as it is clever marketing. The ads do their best to obscure some very important information while concentrating on carefully selected talking points. But the question remains: why would you choose to spend more money on a hearing aid when less expensive PSAPs are available? Here are five reasons. Listen carefully to the PSAP advertisements. You’ll hear all about “boosts” to hearing but never about actually treating hearing loss. The reason: PSAPs are not FDA-regulated medical devices and can not be used to treat any medical ailment, including hearing loss. PSAPs are merely leisure products intended to provide benefits to people who can already hear comfortably. Using a PSAP to treat hearing loss is like purchasing a pair of reading glasses to treat near and far-sighted vision impairment. 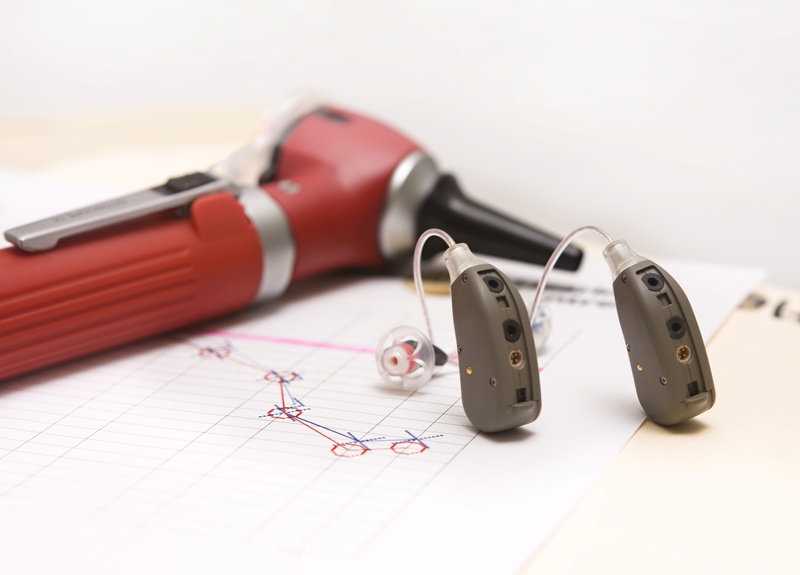 Hearing aids, on the contrary, are FDA-regulated medical devices that can effectively treat hearing loss. Hearing aids may not look like much on the outside, but inside they contain state-of-the-art digital technology that can slice up, store, manipulate, and control any type of sound. Hearing aids can additionally make adjustments for pitch and volume so that amplification complements the patient’s hearing loss precisely. A PSAP, in comparison, is a one-size-fits-all electronic device that amplifies soft sounds. Since every person’s hearing loss is slightly different, PSAPs won’t amplify the correct frequencies. Rather, PSAPs will amplify all sound, generating distortion in noisy settings. Speech sounds are distinctive in that they are mostly represented in the higher frequencies, specifically in comparison to background noise. Seeing that digital hearing aids can detect variations in sound frequency, hearing aids can amplify speech while curbing background noise. PSAPs, for the most part, lack this functionality. Firstly, hearing loss is on occasion caused by factors that do not require hearing amplification whatsoever. If, for instance, earwax buildup is generating your hearing loss, an easy professional cleaning can correct your hearing within a matter of minutes—and without a cent spent on any amplification devices. Second, occasionally more significant medical ailments can cause hearing loss, so you’ll want a professional examination to rule this out. Because you can purchase a PSAP without any interaction with any healthcare professionals, you could be placing yourself in real danger. Third, if you do have noise-induced or age-related hearing loss, a PSAP will not work the way you want it to. You’ll most likely invest in a hearing aid sooner or later anyway, so you might as well skip the additional expense of the PSAP. And finally, compared with hearing aids, there is no mandatory trial period for PSAPs. If you buy one and it doesn’t get the job done, there’s no legal guarantee that you’ll recover your money. PSAPs, like we said, are simple amplification devices stripped of any sophisticated functionality. Hearing aids, in contrast, can enhance speech, minimize background noise, and accommodate to different environments. Some hearing aid models can even wirelessly stream phone calls and music, and some can be regulated with smartphones and watches. PSAPs do have their uses. If you have normal hearing, PSAPs are great for things like bird watching and eavesdropping on conversations, if that’s your sort of thing. But for hearing loss, don’t settle for less than you deserve. Your hearing, and the relationships that depend on it, are too important.